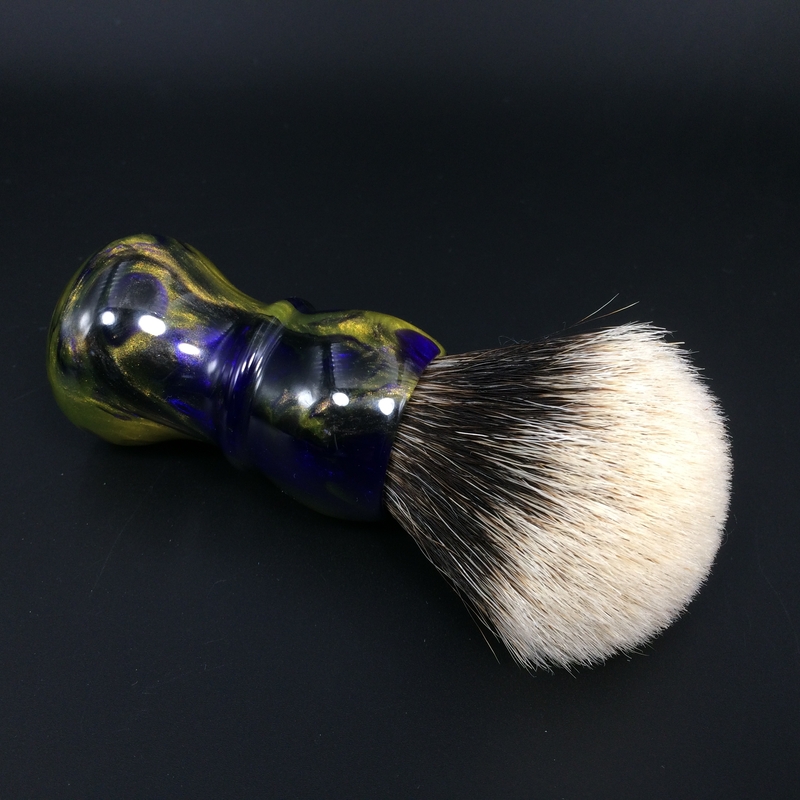 Yellow gold and deep purple often represents royalty and this handle is a fine example of this. Like a crown jewel you can get lost in its swirling depth! 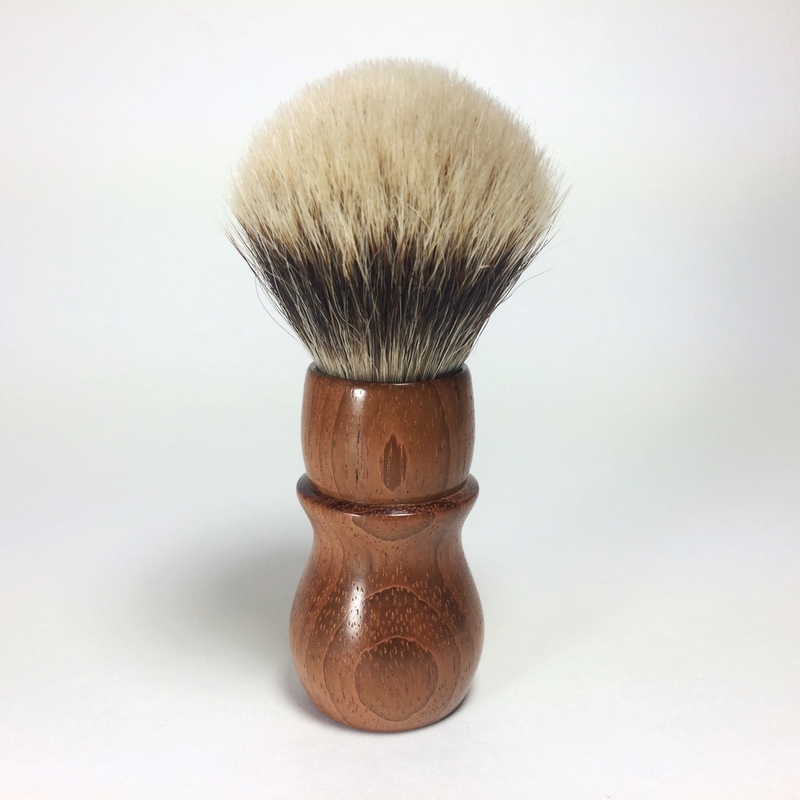 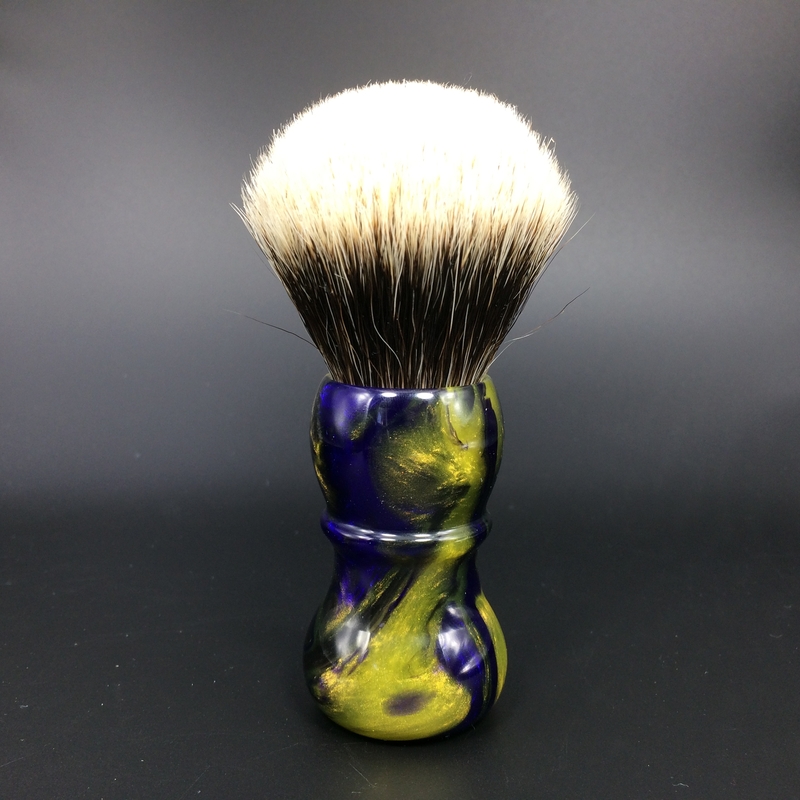 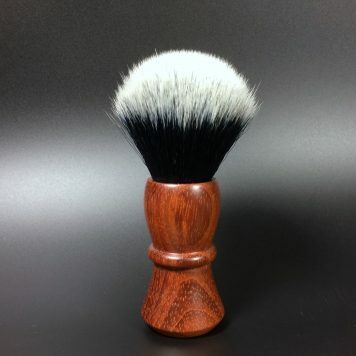 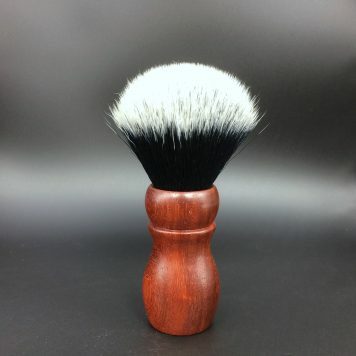 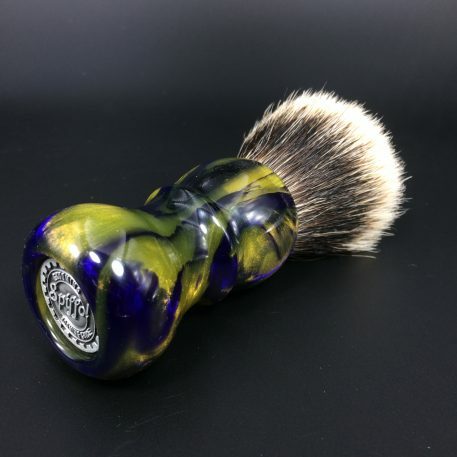 The Two-Band Badger not only adds to this noble look but gives assurance to its lather making quality!